Send a gift to that special someone in your life with a lovely heart-shaped-balloon-filled bubble balloon, personalised with your very own message. 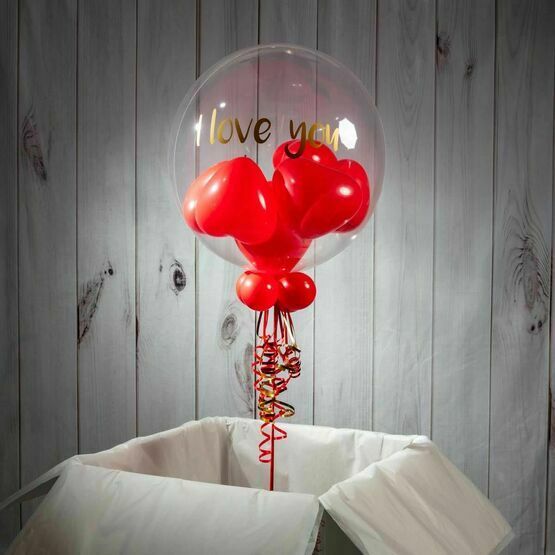 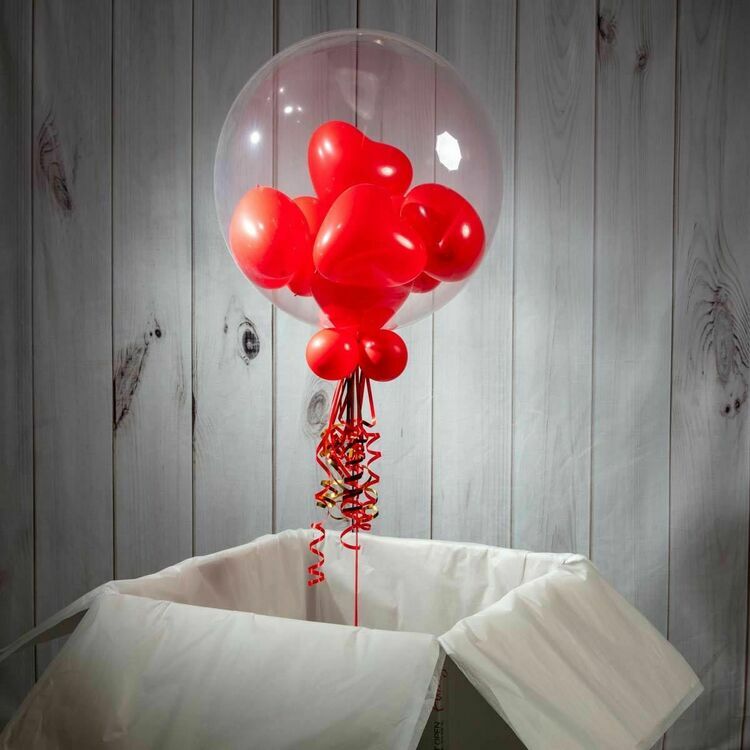 Perfect for making a romantic statement on Valentine's Day, to propose or just to let someone know you love them, this balloon arrives ready to float out the box. 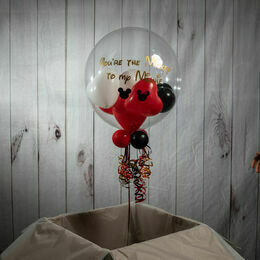 Inside the clear outer balloon we inflate several smaller red balloons in the shape of hearts, adding your message to the outside. 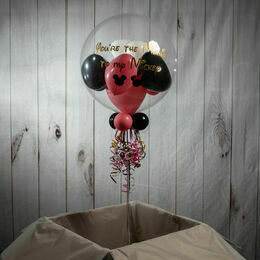 To finish, we add small balloons to the bottom, along with matching ribbons and a weight.